Matagi culture of Okawara continues since the Muromachi period. Matagi are traditional winter hunters of the Tōhoku region of northern Japan, most famously today in the Shirakami-Sanchi forest between Akita and Aomori and in Iwate Prefecture. Unlike trappers and hunters Matagi have their own customs and rituals. When they enter the forest they use their own hunting vocabulary and they wear scrolls. People hunting outside these three prefectures are not called Matagi but hunters or Yamadachi hunters. The most prosperous era for Matagi was the Edo period. At this time the “bear gall bladder” was valuable and was used as medicine. Because of its high value it was trading at a high price and was handsomely treated by all the clans. Speaking of Matagi of Aomori Prefecture, Me-ya Matagi (latter half of Edo period) and Akaishi Matagi (Middle of Edo period) are famous but Okawara Matagi history is old. The hunting diploma of Samurai Nanbu Nobunao was found in 2010. He was the head of the village and the family head of the 26th generation of Nanbu Clan. 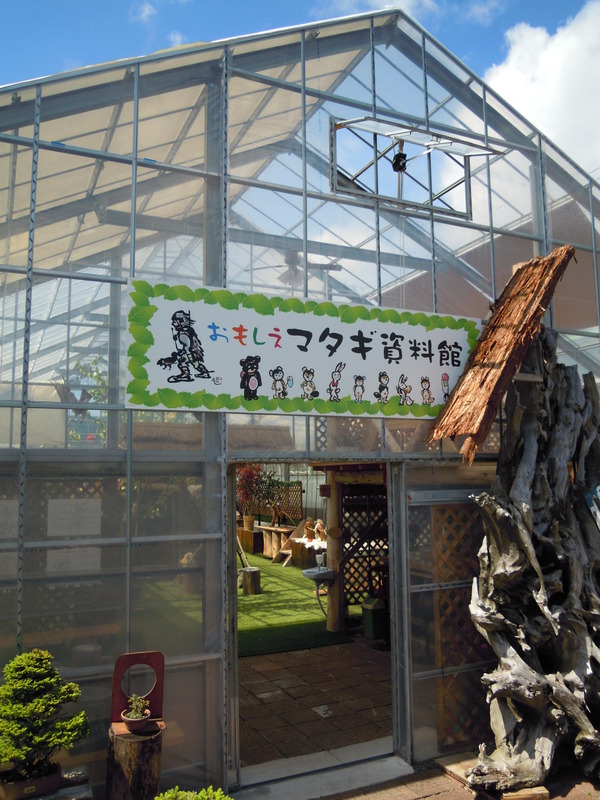 Therefore, in order to continue to inherit the “Matagi of Okawara” culture, in July 2010 we opened Matagi Museum in Omoshie School. Okawara village is also famous for another stride tradition “The fire flow on Okawara”. It is held every year on August 16th and has a history of about 700 years. 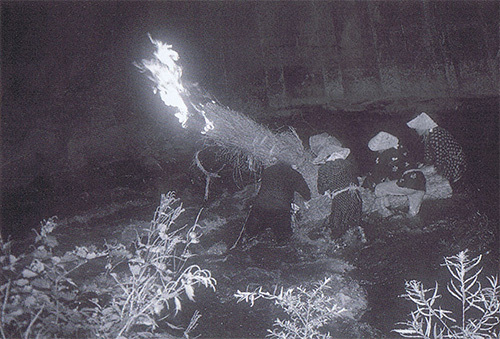 Young men wearing farm clothes ignite three vessels made of Kaya(grass used for thatching) and push them along the Nakano river. By observing the intensity of the fire they try to divine the following year harvest.